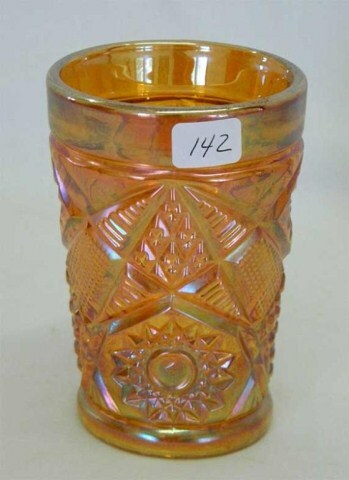 Nobody seems at all certain who made this geometric pattern. 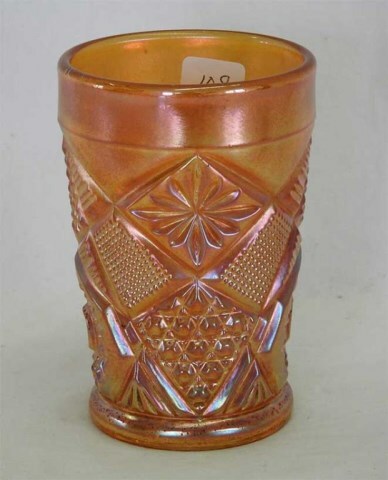 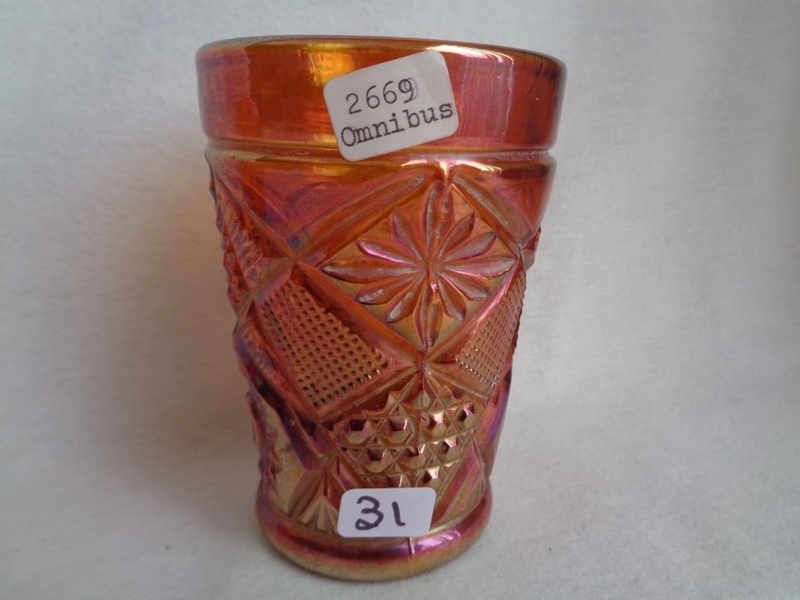 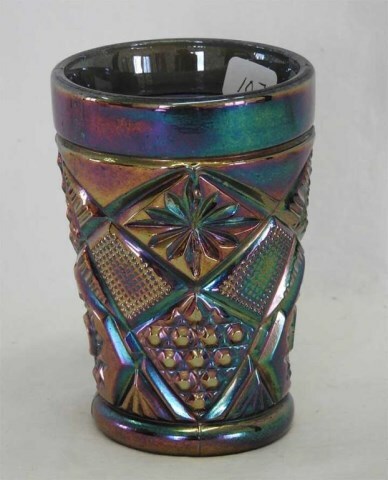 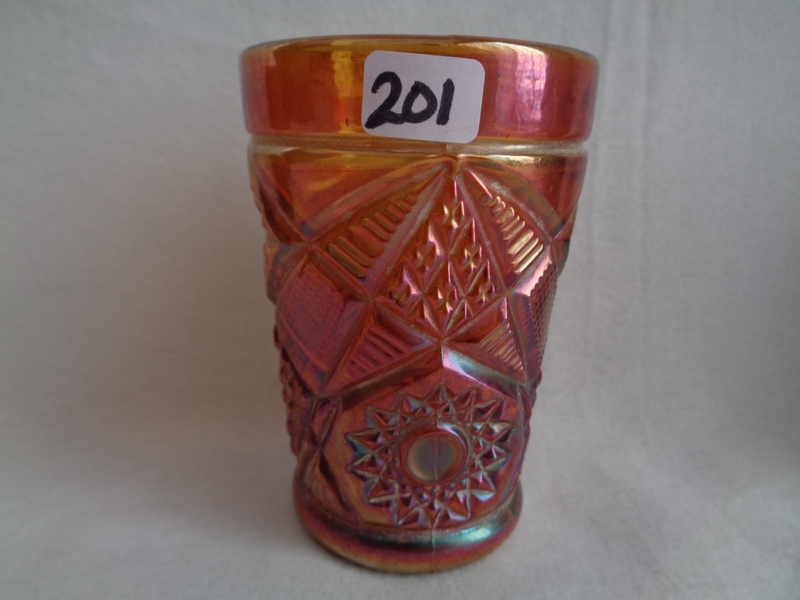 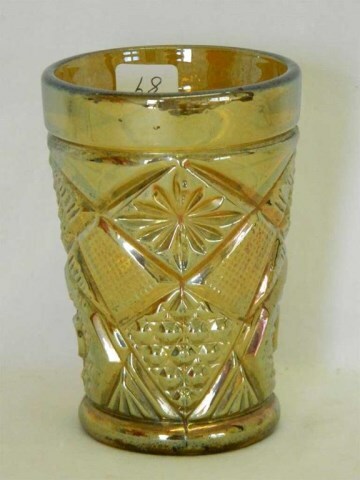 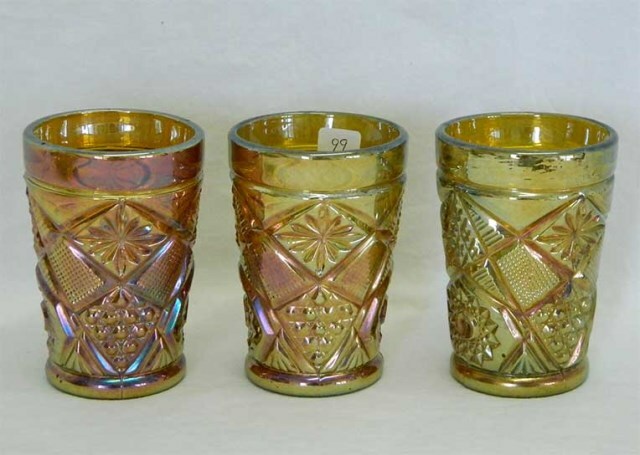 Some collectors point to a US Glass catalog that shows the pattern, though not in carnival. 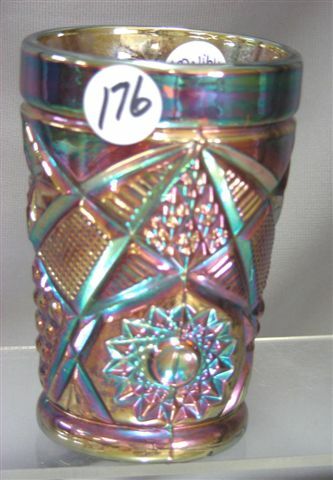 On the other hand, a number of pieces have been found in Argentina–where they did make carnival glass. 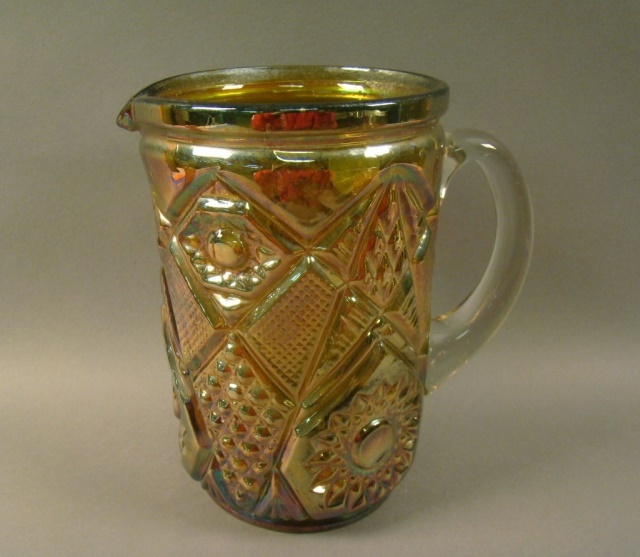 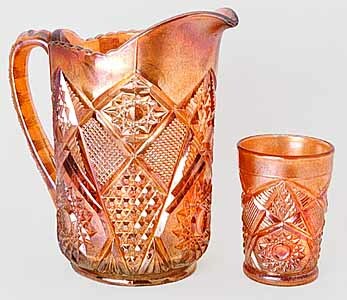 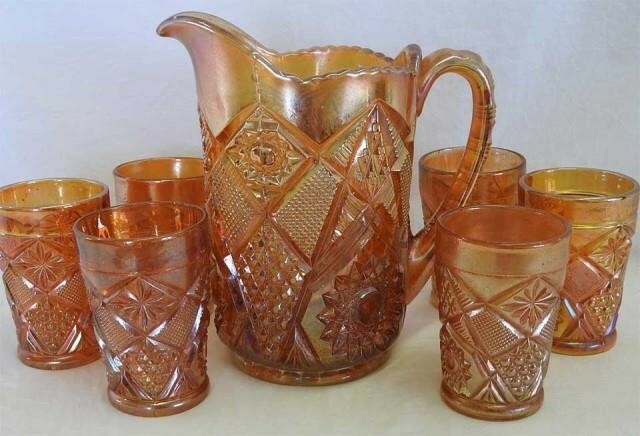 Most pitchers and tumblers are like that in the above photo on the left, but the one shown on the right has the almost identical pattern but the shape of the pitcher and handle are different from the usual examples seen. 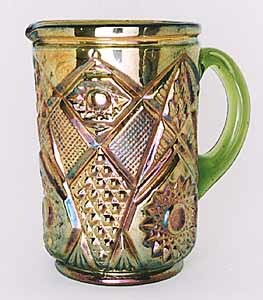 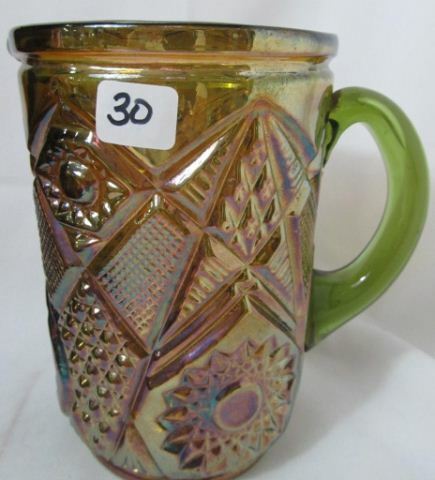 This green pitcher sold in 1999 for $600.